Waldman Naturals is proud to support The Wingman Foundation and honor our nations service members and their families. 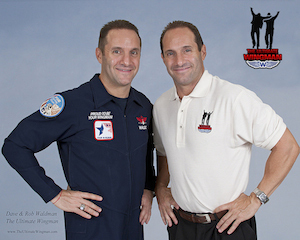 Founded by identical twin brothers Rob and Dave Waldman, The Wingman Foundation is a 501(c) (3) non-profit organization that raises funds and awareness for soldiers, veterans, and their families in need, as well as other military related charitable organizations. Rob and Dave grew up being each other's wingman; encouraging and lifting each other up to live the American dream. In the process, they've learned the true meaning of teamwork, trust, courage, and service. Rob ("Waldo") is a former decorated combated fighter pilot, motivational speaker & author of the New York Times and Wall Street Journal best seller, Never Fly Solo. Known as "The Wingman", he's been featured on Fox News, CNN, and in the Harvard Business Review. Dave is President and Founder of Waldman Naturals, a successful entreprenuer and success coach, health and nutrition expert, and all-natural bodybuilding champion. Their goal is to spread the Wingman message of service, courage, teamwork, and trust to America and the rest of the world. Each year, Waldman Naturals will make a financial donation to help further The Wingman Foundation's cause and "Give Back To Those Who Gave". Please visit the website below for further details. 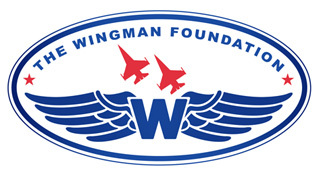 Please check back for announcements and further details regarding our support of The Wingman Foundation.